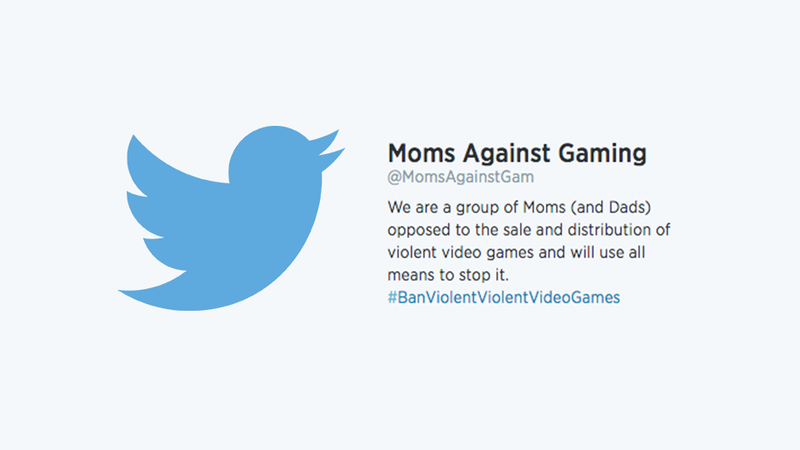 Meet @MomsAgainstGam, a noble crusader in the fight to keep our children away from the menace that is video gaming. With powerful tweets like "disease and poverty are a direct result of Gaming," @MomsAgainstGam is helping expose the painful truth that video games must be stopped. Well, not really. This is a parody account, masterfully constructed by people from the surreal world of weird Twitter. And with that framing in mind, some of their tweets are straight-up hilarious. Some of the responses—from people who get it—are amazing, too. And then, of course, there are the people who think @MomsAgainstGam is a serious account, and respond with lovely messages like "get cancer." Ironically, one of @MomsAgainstGam's messages is that video games make people nasty, so these people's vitriolic responses are proving the very fake point that this parody account is making. Man. In the meantime, if you're in on the joke, there's nothing funnier on Twitter.